A book with the complete story of this fantastic adventure is available for distribution. Publication date was June 22, 2004. Price $19.95, plus shipping and handling, $4.00. 100% of revenue goes directly to the ALS Therapy Development Foundation. Requested donation $25. Direct donations to ALS-TDF over $35 will receive a letter confirming your tax deductible contribution and an autographed book. or call 617-441-7270 with your credit card ready. Visit their web site at www.als.net/join/donatenow.asp. 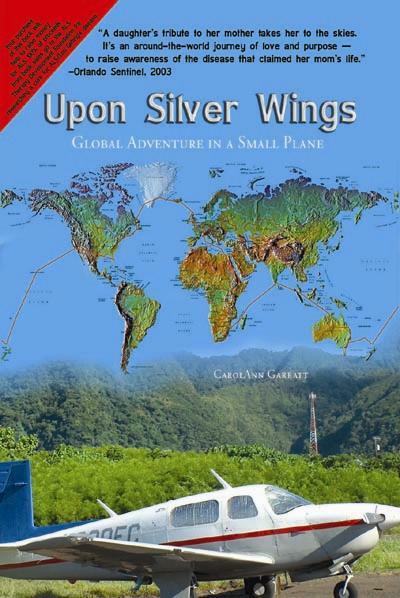 Enter the credit card information and indicate in the comments section that you are requesting the book Upon Silver Wings as your gift. Books will also be made available from CarolAnn after presentations. They are now available at Amazon.com, ebay.com, and most of your central Florida airport pilot shops. 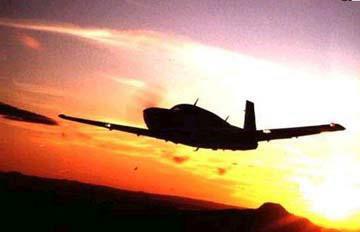 I'm happy to hear from you, please email me at ca.garratt@att.net any ideas, suggestions or flight tips. Thanks.